1. 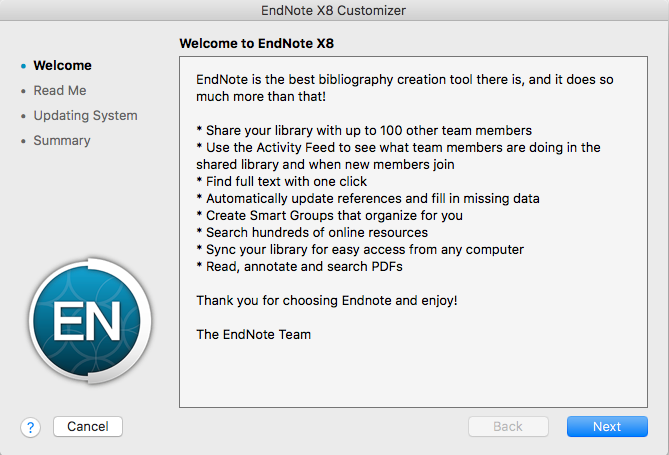 Download EndNote X8 from TigerWare. 2. 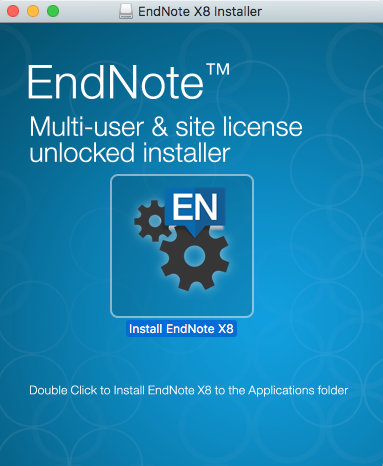 Open the installer in the Downloads folder. 3. 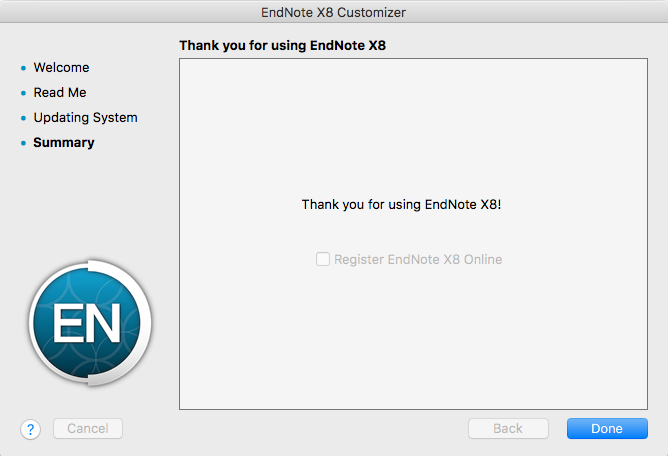 Double-click the Install Endnote X8 gear icon to open the installer. 4. Click Open to allow the computer to open a file from the internet. 5. Select Install to begin the installation. 6. The Welcome screen will appear. Click Next to continue. 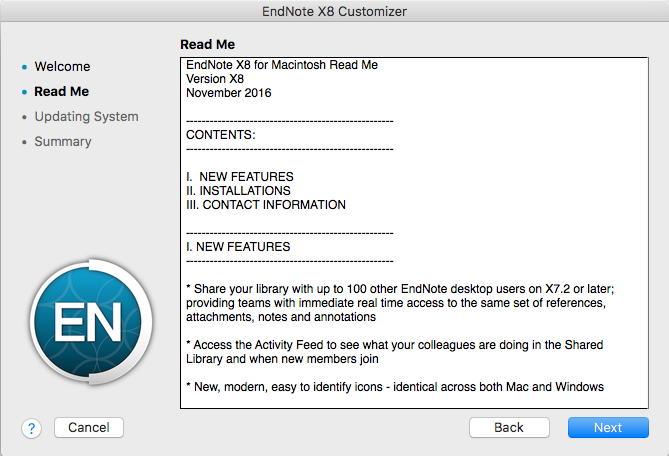 7. Review the ReadMe information, and select Next. 8. 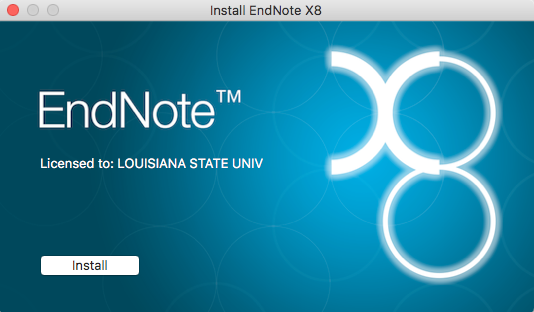 EndNote should begin installing. 9. A confirmation screen will appear. Click Done to finish.